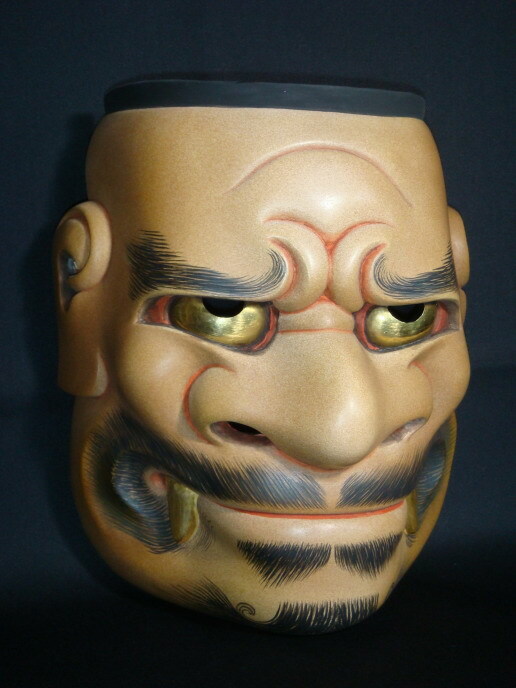 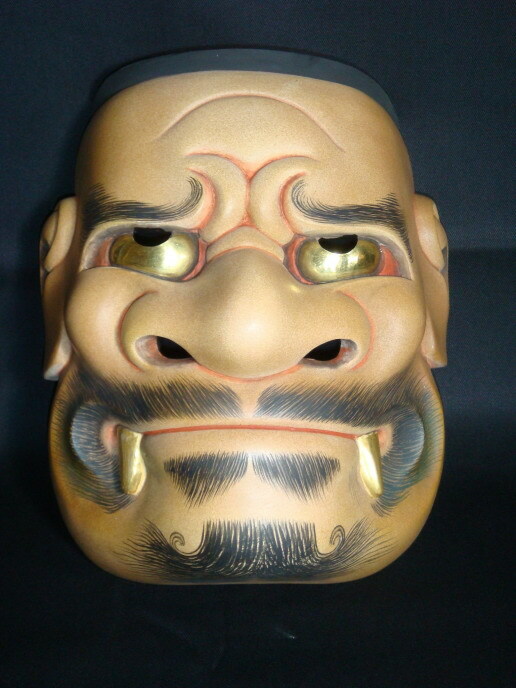 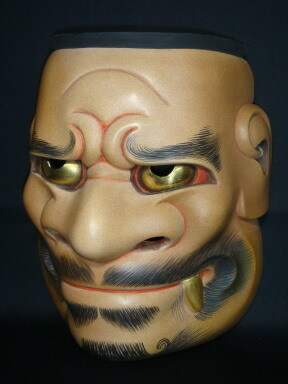 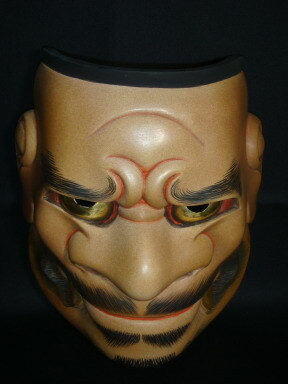 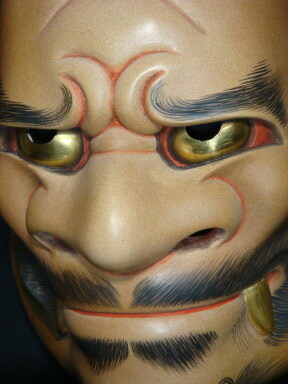 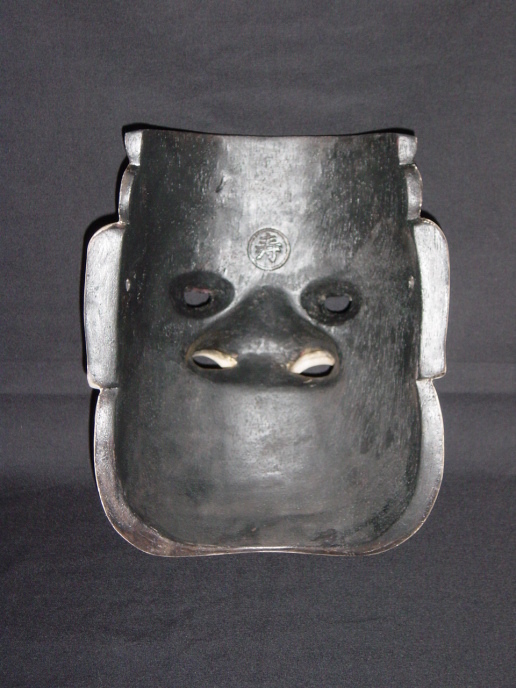 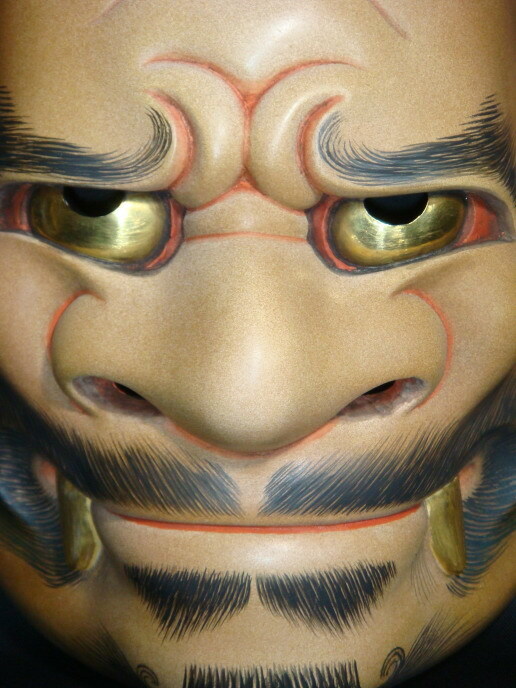 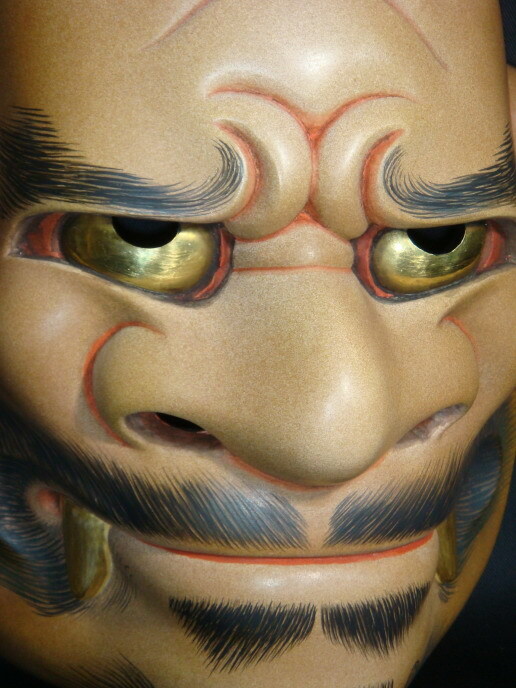 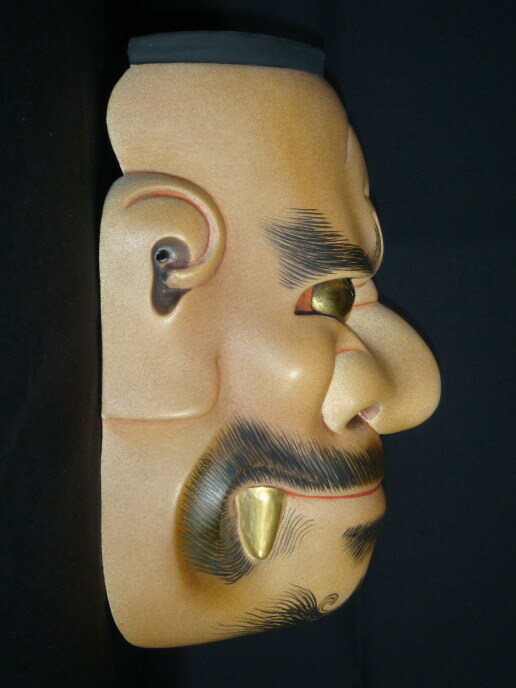 Face of the mythical tengu. Kiba means tusk and Beshimi means mouth clamped firmly shut. 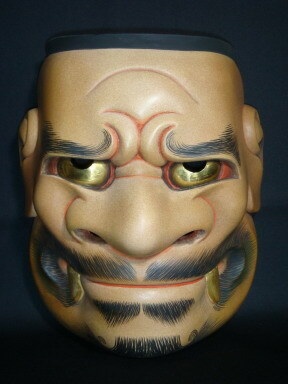 Thus, in spite of the obstinate expression humor and bluster are manifested.